This is another stop on a new slate of reviews I'll be posting on Nikki-Michelle's Spot. Before I ever had dreams of becoming a writer, I was a reader. That hasn't changed. I love to read. A good book can always take me away like Calgon. Next up, Black President 3 by BHE. I should note that this book is on Kindle Unlimited. As a reader, I'm a fan of Kindle Unlimited. If you're a reader looking to test a new author, KU is a good investment, especially in this market of....eh, that's a story for a different day. Back to Black President 3. 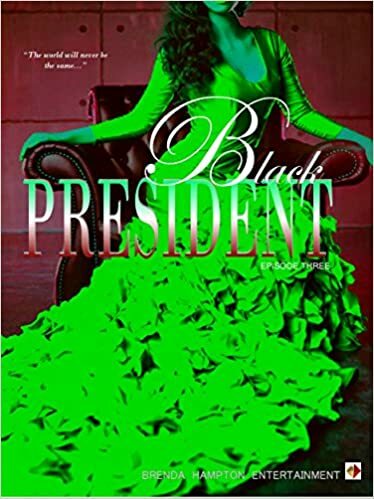 Well, I'm back again with another review for book 3 in the Black President series. I must say, while this book didn't hold back any punches, it didn't get my emotions toiling like the last two books. However, Brenda Hampton is never one to disappoint. Book three picks up where book two left off. Last book, we all know someone tried to cause the president great bodily harm and it would have worked if not for the president's quick thinking. Nothing has changed between the First Lady and the First Mother. They are still at one another's throats and you would think they would get tired by now, but alas, they're not. And I cackled when Teresa told Raynetta that she probably didn't have meat in her teeth because she had a lot of gaps. I hollered! I kind of felt bad for VP Tyler. He has hatred in his blood and it all came from his rich tycoon grandpappy. I don't understand how anyone can have that much hate in their hearts, but alas, we see it and hear it everyday. The president is a gangster, I give him that. He played the American people like a fiddle and ended up getting exactly what he wanted, which was gun reform. Also, that reporter chick that he cheated with in book two got the short end of the stick, but I can't say I felt bad for her. I mean, I felt bad because...racism. But other than that? Nah. I will say the highlight of this book was the talk the President and the First Lady had near the end of the book. I respected the both of them a lot more after that. It had been a long time coming and I have to admit, President Jefferson may be an arse, but underneath the facade is a loving man as was evident with the way he handled the Michelle situation and what he did for the First Lady near the end of the book. But honey the creme de le creme came at the ending when Teresa dropped the bombshell on us all. I wasn't ready! Stephen should have never told his mama to respect his wife or get the heck on! But something has to give. Why in heck does this woman hate Raynetta so much? It has to be more than her not wanting to give Stephen a child. It has to be. You don't hate a woman that much over something so trivial. I don't know. I can't say. Maybe we all have different levels of things that tick us off. All I know is, I can't wait to see what happens in book four. I thought this would be a three book series, but I guess that has changed now. I hope it comes to an end soon. In the end, I give this book four pages (think four-stars). I caught a few grammatical errors which is the reason for the four pages. Nikki-Michelle recommends this book!